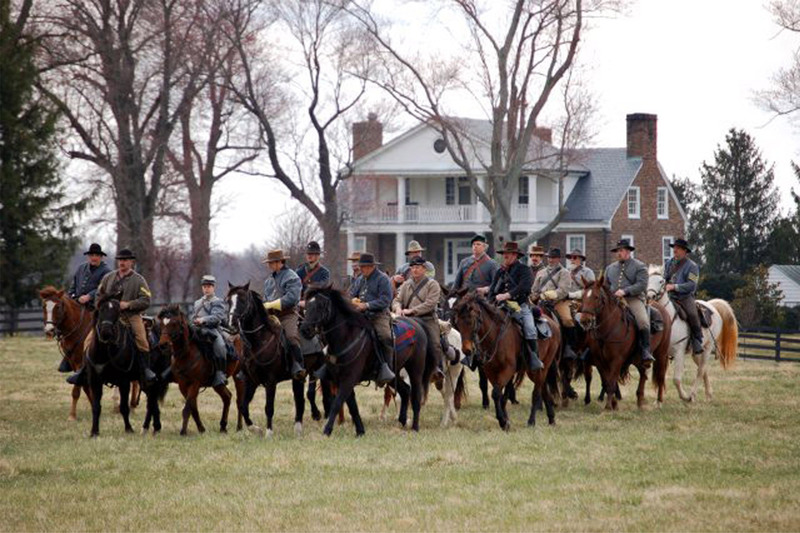 The Battle of Buckland Milles and the "Buckland Races"
Fourth Regiment Virginia Cavalry, Inc. Following the defeat of the Confederate Army of Northern Virginia at Bristoe Station, General Robert E. Lee withdrew toward Culpeper. Union troops pursued the retreat including the cavalry of Brigadier General H. Judson Kilpatrick and Brigadier General George A. Custer. In an attempt to hamper the Union troops, Major General J.E.B. Stuart temporarily occupied a strategic position at the Buckland crossing of Broad Run. After taking fire from Union troops under Kilpatrick and Custer, Stuart feigned retreat toward Warrenton with Kilpatrick's Union cavalry in pursuit. Custer stopped for breakfast in violation of orders but it may have prevented the trap from being even more successful. Upon a prearranged cannon signal, indicating the arrival at Buckland of Major General Fitzhugh Lee from Auburn, VA, Stuart turned and charged the cavalry at his rear. The Federals raced to get back to the other side of Broad Run at Buckland. Had Custer not still have been at Buckland, Fitz Lee's cavalry would have been able to block that crossing and shut the trap door. The battle between the cavalry of Stuart and Kilpatrick raged up and down the turnpike and the high ground to either side. Finally, the Confederate troops chased the Union brigades back through Buckland and into present-day Haymarket where the battle ended, having taken 230 lives.